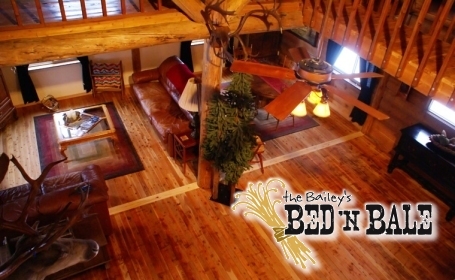 Bailey’s Bed’n Bale Vacation Home in Whitefish is northwest Montana’s best kept secret. 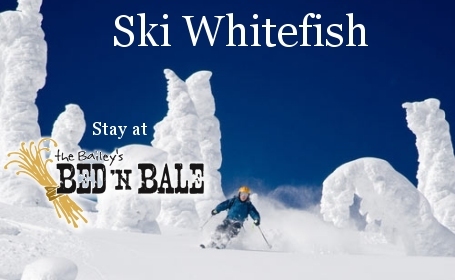 We are nestled at the base of the Whitefish Mountain Range, just steps from the Flathead National Forest. 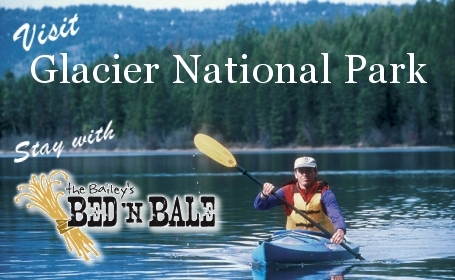 An outdoor enthusiasts Haven! Spectacular vistas await you in every direction. Noticeably quiet with an occasional ‘moo’ from our barnyard friends and a morning hello from Mr. Doodle-Roo, you’re sure to find the relaxation you’ve been waiting for. Escape to our hidden treasure. Only minutes from town, our three bedroom/two bath farmhouse is the ideal venue for your next vacation home. We’re ADA Accessible! 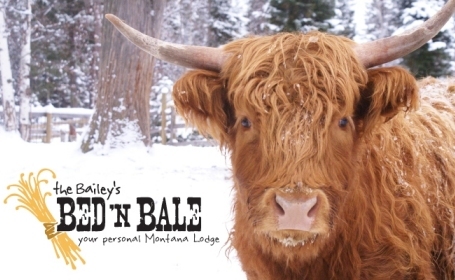 Come stay with us and experience NW Montana at it’s finest! Hwy 93 North to 2nd avenue. Take 2nd ave to East Edgewood. Right on East Edgewood 1&1/4 mile to Haskill Basin Road. Turn left onto Haskill Basin Road. Approx. 1/2 mile on Haskill Basin Road to Kaeding Creek Road (Stay going NORTH). Off pavement at this point, Stay NORTH on Kaeding Creek approx. 1/4 mile hangs a sharp left. Very next right will be TIMBER DOODLE LANE. We’re at the end veering to the right.